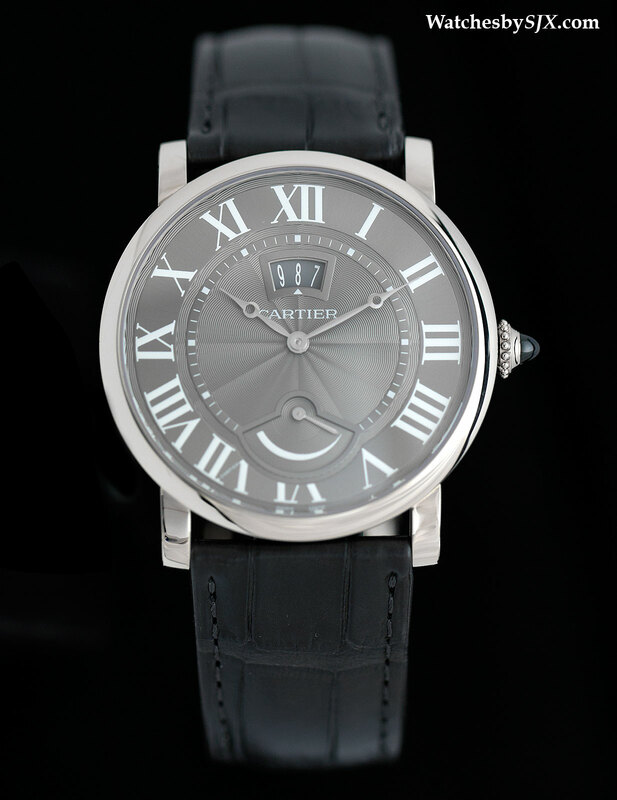 Cartier has started to expand its line of affordable, mid-range complicated timepieces, one of which is the Rotonde De Cartier With Calendar And Power Reserve, powered by an in-house movement and priced under US$10,000. 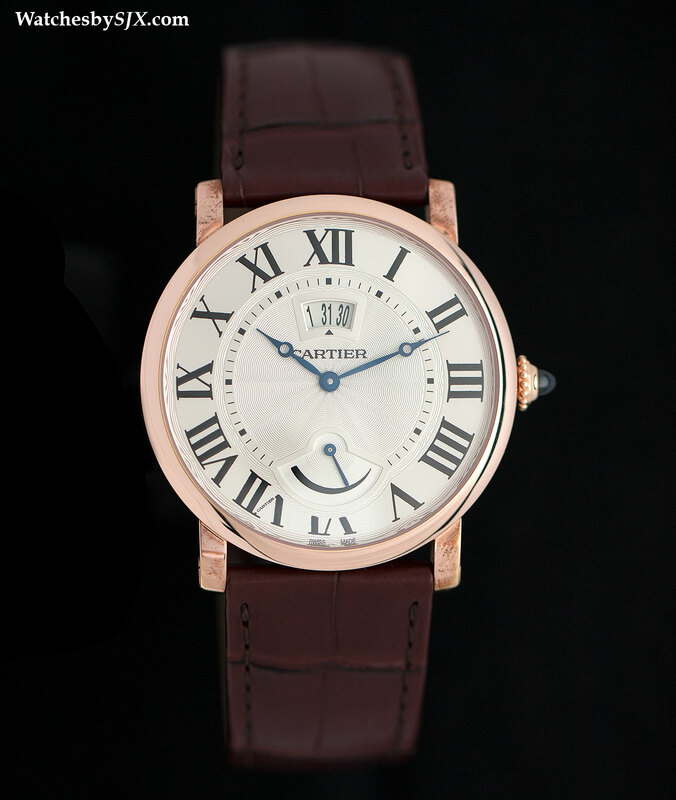 At Watches&Wonders 2014 Cartier unveiled a pair of petite complications, wristwatches with minor complications priced affordably. 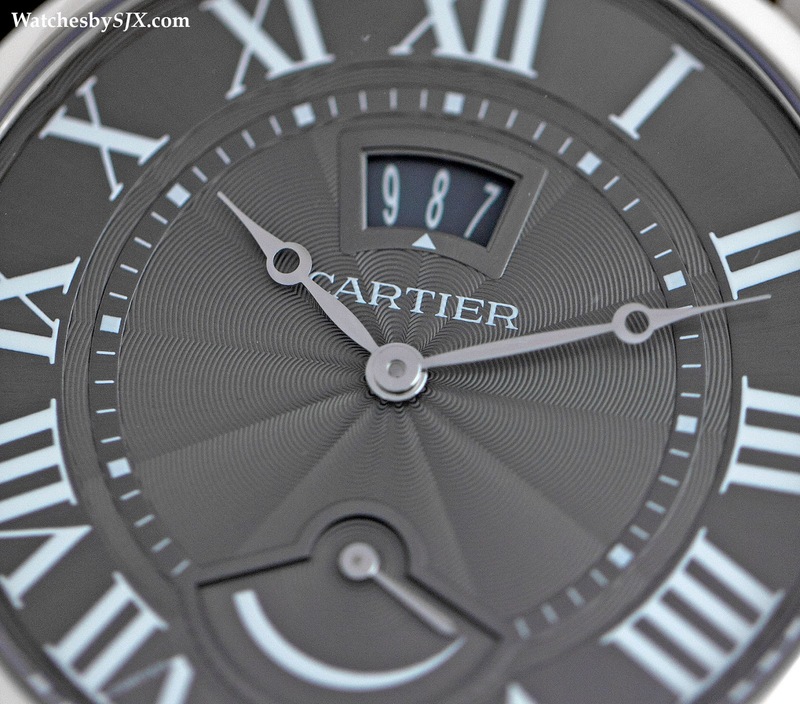 One was the Rotonde Second Time Zone Day/Night, and the other is the Rotonde De Cartier With Calendar And Power Reserve. 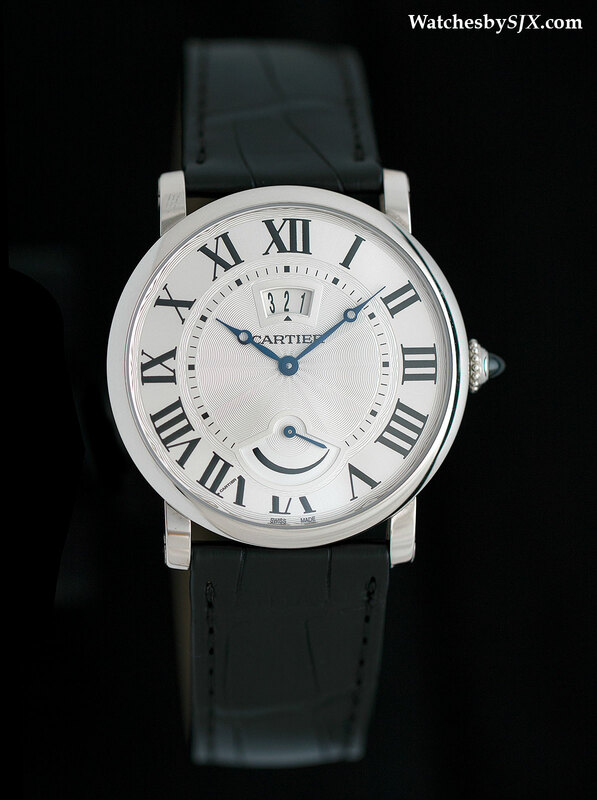 The Rotonde De Cartier With Calendar And Power Reserve was conceived as a practical watch with useful functions. It has a date window at 12 o’clock, shown in a fan-shaped aperture showing three dates, with a small arrow for the current date. And the power reserve is at six. Though the aesthetic of the watch is archetypal Cartier, with Roman numerals and blued steel Breguet hands, the date and power reserve indicators are contemporary in style. The case is 40 mm in diameter, with a solid case back. 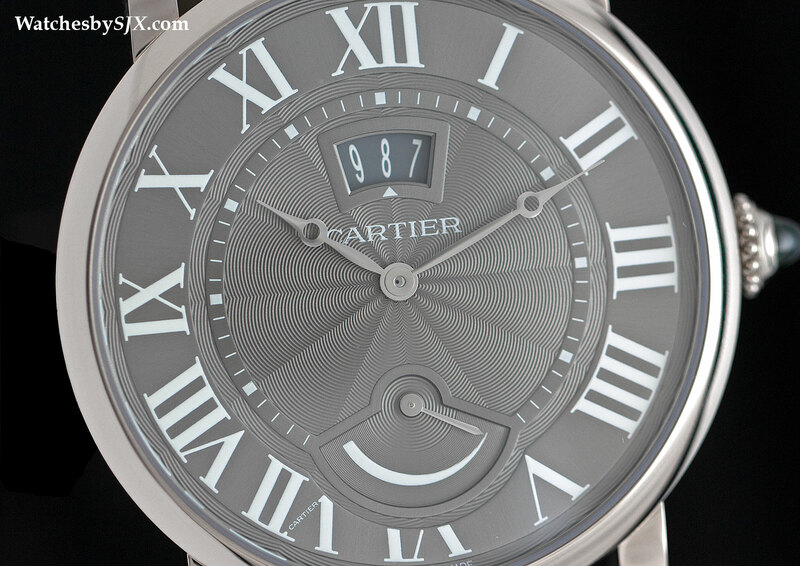 Underneath is the calibre 9753 MC movement, which is actually an extra-thin Piaget 430P. Manually wound with a 43 hour power reserve, the movement is just 2.1 mm high. The watch overall is a slim 8.94 mm. 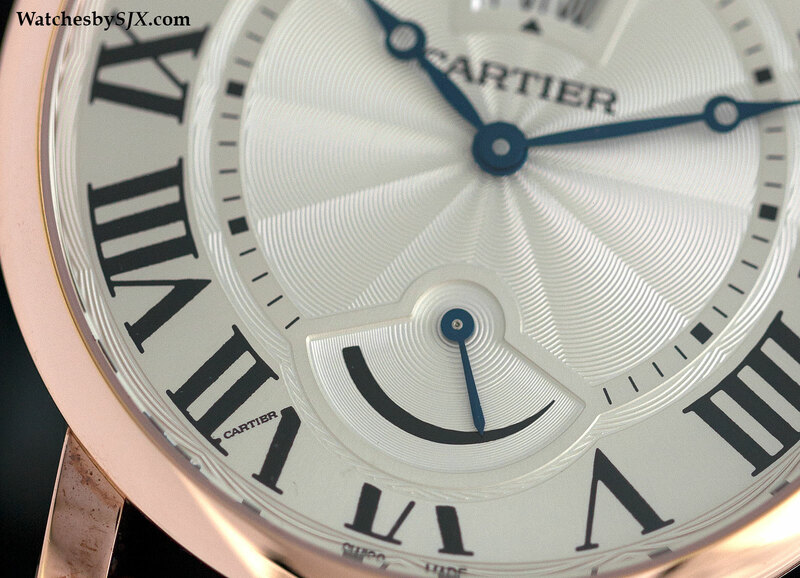 As with most Cartier watches this is available in rose gold or steel, with the classic silvered, guilloche dial. Prices start at US$8600 or 11,400 Singapore dollars in steel, with the rose gold priced at US$22,300 or 29,400 Singapore dollars. And then there’s a 200 piece limited edition is white gold with a grey guilloche dial, probably the most striking of the lot. 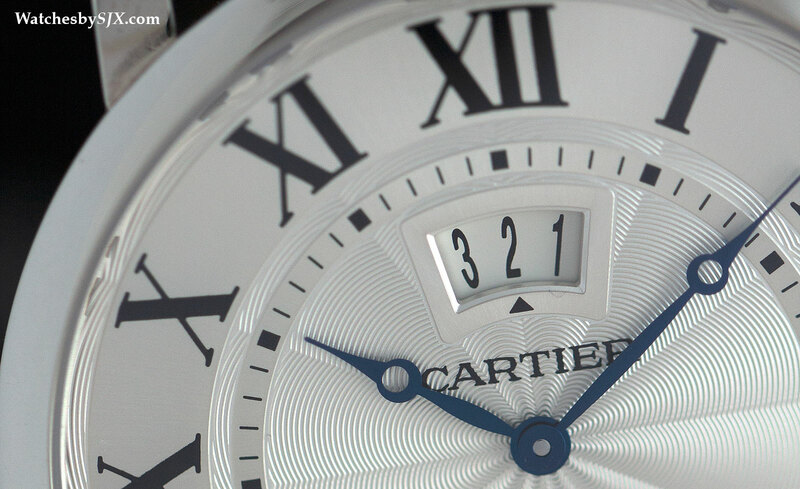 Cartier maintains a Henry Ford-inspired philosophy of making dials in any colour so long as it’s silver; deviations from that are uncommon. 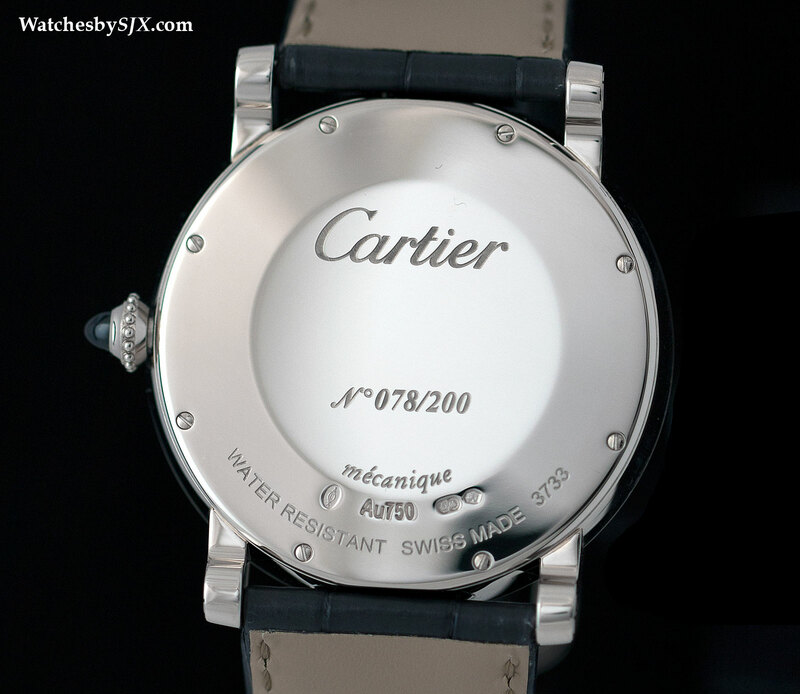 Attractive as it is, the white gold version is the most expensive, priced at at US$23,900 or 31,500 Singapore dollars.